1914 Sri Swami Satchidananda was born in Tamil Nadu, South India. 1947-1964 Satchidananda met and studied under Sri Swami Sivanandaji for seventeen years. 1966 Satchidananda traveled to New York City. 1966 (October) The first Integral Yoga Institution was established in New York City. 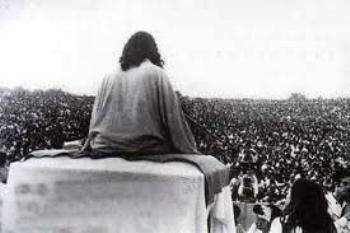 1969 Satchinananda addressed the crowd at the Woodstock Music Festival. 1972 Yogaville-West was established in Seigler Springs, California. 1973 Yogaville-East was established in Pomfret Center, Connecticut and became IYI headquarters. 1976 Satchidananda became a U.S. citizen. 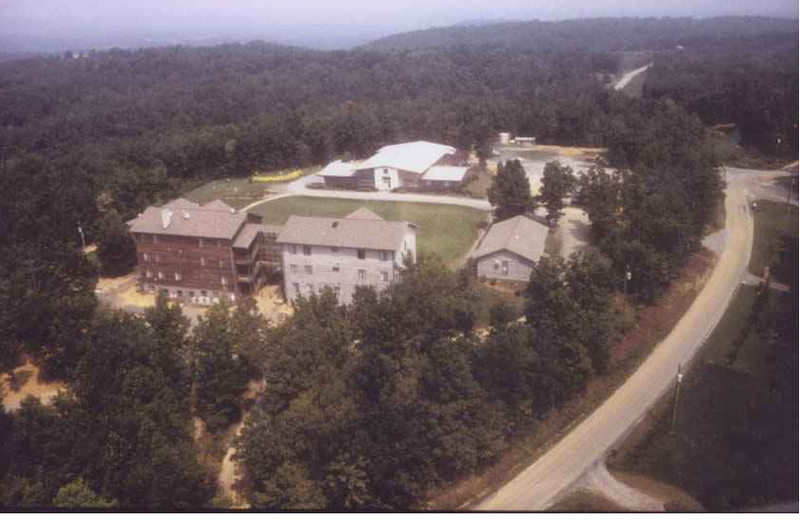 1979 (September) IYI was gifted 600 acres in Buckingham County, Virginia which became Satchidananda Ashram-Yogaville (SAYVA). 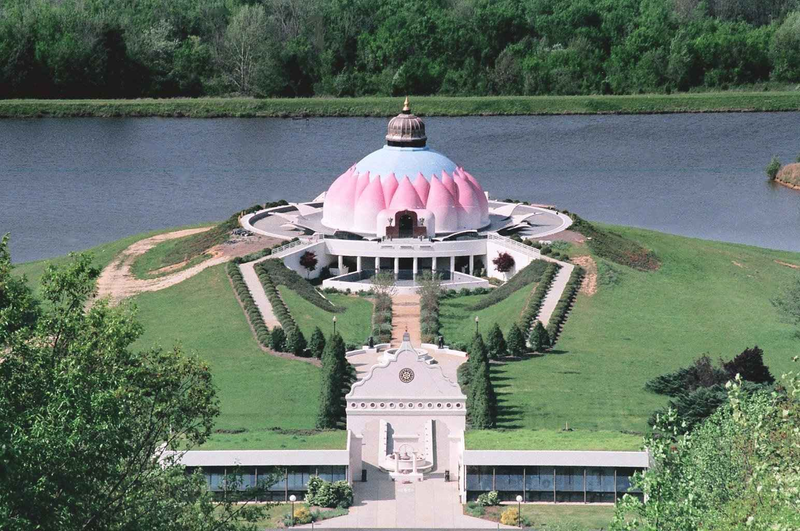 1979-1986 Light of Truth Universal Shrine (LOTUS) was constructed in Buckingham, Virginia at SAYVA. 1986 (July) A dedication ceremony was held for LOTUS, and SAYVA became the IYI headquarters. 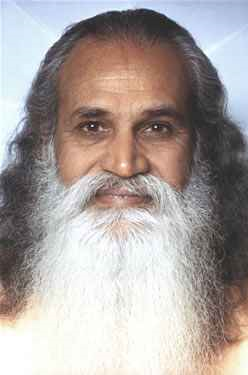 2002 Satchidananda died in his home region of Tamil Nadu, South India. adult life was quite secular in nature. He graduated from an agricultural school and worked in the automotive industry before becoming a manager in the National Electric Works. In the hagiographic account of his life, however, Swami Satchidananda is described as having been intensely spiritual from childhood: “Even as a young child, he spoke truths and displayed insights far beyond his years. His devotion to God was strong, and he looked at people of all castes and faiths with an equal eye, always recognizing the same light within every being” (Perringer n.d.) While working as the manager of a Hindu temple, Grounder met and married his wife, and the couple gave birth to two children. However, five years later his wife died suddenly. Following his wife’s death, Grounder renounced the world and began his spiritual career at age twenty eight. In order to become disciplined in yoga, Grounder secluded himself for several years before traveling around India to study under various gurus. After studying under several spiritual figures, including Sri Ramakrishna, and Ramana Maharshi. Grounder met Sri Swami Sivananda in the foothills of the Himalayas in 1947; the Swami initiated him into the Holy Order of Sannyas and gave him his spiritual name, Swami Satchidananda (divine bliss). Satchidanada studied with Sivananda for seventeen years. Due to his mastery of all branches of yoga, Satchidananda was given the title “Yogiraj,” master of yoga. Sivanandaji sent Satchidananda to Ceylon (present day Sri Lanka) to spread Sivanandaji’s teachings. He lectured across India and established yoga centers in Sri Lanka, Hong Kong, Japan, Malaysia, Singapore, and the Philippines (Meadows and Hadden 2002:646). Satchidananda met filmmaker Conrad Rooks and artist Peter Max in India while the two were filming the now cult classic film Chappaqu in 1965. Satchidananda made a cameo appearance in the film, and Rooks and Max invited Satchidananda to New York City the following year. Although initially planned as a two day visit, Satchidananda attracted hundreds of followers resulting in an extended stay in New York City. The first Integral Yoga Institute was founded in New York City on October 7, 1996. Six years later in 1972, Yogaville-West was established in Seigler Springs, California to provide a community for those who practiced Integral Yoga. Following closely behind Yogaville-West, Yogaville-East was founded in 1973 in Pomfret Center, Connecticut. Yogaville-East served as IYI headquarters for ten years. following year to purchase a 650 acre tract in Buckingham County, Virginia to IYI. It was in Buckingham County that construction began on the Light of Truth Universal Shrine (LOTUS) at the new Satchidananda Ashram-Yogaville (SAYVA). LOTUS is described as a temple for all world religions where one can find the Spirit that unites everything. LOTUS held a dedication ceremony on July 20, 1986, after which SAYVA became the new headquarters for IYI. Satchidananda continued to travel the world giving lectures to promote religious harmony. He left his body (Mahasamadhi) on August 19, 2002 as a result of an aneurysm while visiting his home region of Tamil Nadu, South India. Yoga is conventionally divided into six paths or traditions, with over fifteen million practitioners in the United States, but numerous other schools have developed out of these six traditions (Cook 1999-2000). Hatha Yoga, which first opened a center in San Francisco in 1955, is the most popular branch of Yoga, using physical postures (Asanas), regulated breathing (Pranayama) and meditation (Dharana). Karma Yoga emphasizes selflessness and service to eliminate attachment to the material results of the practitioner’s actions. Bhakti Yoga uses repetitive sounds or words (mantras) in order to surrender the self, identify with a higher self and experience the divine in all of creation. Raja Yoga uses deep meditation to create stillness and focused control over the mind that allows the emergence of the practitioner’s higher self. Jnama Yoga emphasizes the development of the intellect and study of yogic scriptures combined with deep meditation that promotes an unfolding of the “surface mind” and understanding of the Ultimate. The term integral yoga can legitimately be applied to any spiritual path based upon the synthesis of multiple yoga traditions. There are two main schools of thought and practice of integral yoga, one established under Sri Aurobindo and the other established under Sri Satchidananda. Followers of Satchidananda have trademarked the name Integral Yoga in the United States. The degree of involvement in Integral Yoga varies among practitioners. Some individuals choose to only take weekly classes at the closest center, institute, or ashram while others choose to live within the Yogaville communities. The headquarters for Integral Yoga, SAYVA , offers courses, retreats, special seminars, and internships. A typical retreat package offers various choices of accommodations within onsite dormitories, private rooms, or camping. Also included are three buffet style vegetarian meals as practitioners of Integral Yoga practice non-violence toward all beings. Additionally, daily yoga, meditation, and scripture classes are offered. At SAYVA, weekly spiritual meetings (satsangs) are held every Saturday evening. Satsang includes chanting (Kirtan), a DVD featuring Satchidananda, a spiritual presentation by a guest lecturer or senior member, and prayers for world peace. Every year SAYVA offers silent retreats; a ten day retreat in June, a five day retreat during New Year’s, and four-day retreats in both Spring and Fall. Consistent with its integrative perspective, Integral Yoga practitioners celebrate a variety of Christian, Jewish and Hindu holidays: Christian (Easter, Thanksgiving, Christmas ), Jewish (Rosh Hoshana, Yom Kippur, Hanukkah) Hindu (the Navarati celebration of the Divine Mother, the Mahasivaratri celebration in honor of Lord Shiva, and the Deepavali celebration of the Festival of Lights). Some mainstream culture holidays, such as Mother’s Day, Father’s Day, and New Year’s are celebrated. Integral Yoga practitioners have created their own holy days that honor Satchidananda ( Guru Poornima – a n annual sacred occasion honoring Satchidananda and marking the anniversary of the LOTUS dedication ceremony) and Mahasamadhi (commemorating Satchidananda’s exit from his physical body). When Satchidanada arrived in the United States in 1966 he was drawn to youthful members of the counterculture (Kempton 1967). He argued that established institutions had failed American youth: “Where do you go if your institutions don’t offer you anything?…To a tepee in Vermont, that’s where….They are all searching for the necklace that’s around their necks” (Katz 1992:377). His popular fame increased after he addressed the audience at the Woodstock Music Festival in 1969, teaching them to chant “Hari Om.” His message to the assembled was to find peace within: “I still don’t understand how they are going to fight and then find peace. Therefore, let us not fight for peace, but let us find peace within ourselves first” (Satchidanda 1969). He touted Integral Yoga as a means to abandon drug use, stating that “The problem with drugs is that while they elevate you, they immediately drop you back down again” while Integral Yoga offered a “natural high (Katz 1992:377). Satchidanada subsequently attracted many wealthy and prestigious followers. Satchidananda was regarded by his followers as “God realized” and as a person who retained human form only as a way of supporting the spiritual development of others. He initiated many sannyasi in the West and gave new yoga names and individual mantras to his many initiates. He became a celebrity, appearing on talk shows and consulting with corporations, conducting interfaith dialogues, speaking on college campuses, and lecturing on nutrition and holistic health. Satchindanada has received numerous awards for his work, including the U Thant Peace Award from the United Nations Meditation Group, the Martin Buber Award for Outstanding Service to Humanity, the Judith Hollister Interfaith Award, the B’nai Brith Anti-Defamation Leage Humanitarian Award, and the Albert Schweitzer Humanitiarian Award. The fiftieth anniversary of his ministerial ordination was commemorated in 1999 during an interfaith service prior to the commencement of the 54th General Assembly of the United Nations. Numerous famous personages from Bill Clinton to Dean Ornish to Richard Gere to Allen Ginsberg praised his work. Integral Yoga has established three yogavilles in the United States, Yogaville-East, Yogaville-West, and Satchidananda Ashram-Yogaville (SAYA), the headquarters of IYI . Integral Yoga also has four Integral Yoga Institutes within the United States, with one in Canada and one in India. Institutes offer coursework for those interested in becoming certified Integral Yoga teachers. Additionally, Institutes offer classes to the larger surrounding communities and Integral Yoga practitioners. Integral Yoga maintains 37 centers in 28 different countries. These centers are similar to Institutes but are smaller, localized, and do not offer courses for teacher certification. Integral Yoga does not maintain a formal membership list, but only a few hundred people are certified to teach Integral Yoga. Like many Ashrams, Yogavilles are normally located in rural areas. They serve as monastic-like communities of Integral Yoga yogis and teachers. At any given time the population of a Yogaville will consist of guests, associate members and full-time members. At the Yogaville ashram the renunciate swamis are provided food and housing while householders are expected to provide basic necessities for themselves. Practitioners come for retreats. The Satchidananda Ashram-Yogaville welcomes about 2,000 visitors every year, while another 150 individuals consider the community their home. Some of the workshops offered at SAYA are classes that teach the concepts of each branch of yoga of which Integral Yoga is composed. These include Hatha Yoga, which focuses on postures, breathing pattern, and diet; Raja Yoga, which revolves around controlling the mind through meditation; Bhakti Yoga, which is practiced through constant love of and devotion to God; Karma Yoga, which is the path of selfless service; Jnana Yoga, which concentrates on the existence of everything that is natural and/or unchangeable; and Japa yoga, in which the focus is on chanting. Other workshops and classes include yoga for athletes, stress management yoga, prenatal and labor yoga, laughing yoga, inner tantric yoga, as well as yoga for those with scoliosis. For those at SAYA the diet is vegetarian, celibacy is required for singles and monastics, and alcohol, drugs and tobacco are prohibited. SAYA is also home to the Light of Truth Universal Shrine (LOTUS), which opened in 1986. The shrine houses alters dedicated to ten major religions, as well as two additional alters, one dedicated to other known religions and the other dedicated to those still unknown. The outside of the shrine contains fountains and gardens, many with spiritual symbolism. The interior of the shrine consists of two floors; the bottom floor houses cases that display artifacts of the religions represented in the alters, which are located on the top floor of the shrine. Integral Yoga was caught up to a very limited extent in the mental manipulation and divided family controversies that affected many religious movements beginning in the 1970s. It has been the claims of sexual manipulation and abuse levied against Satchidananda that have received the greatest public visibility and most significantly affected the movement. During the early 1990s several female members who had served on Satchidanada’s staff charged him with sexual improprieties of various kinds (McGehee 1991). Following the initial allegations, several additional women made similar charges. Satchidananda has consistently denied the charges but refused interviews with journalists or responses to those making the allegations. With respect to his accusers, he has stated that “They are free to feel this way….If they don’t feel comfortable with me, they can go learn from someone else.” With respect to his unwillingness to provide a public response to the accusations, he has stated that “There is no need. If the public wants to believe that, they can believe it” (Chopra 1999). Many followers have vigorously defended Satchidananda and dismissed the charges as fabricated, but opponents claim that the movement lost numerous practitioners, teachers, and center affiliations in the wake of the controversy (Zuckerman 1991). Satchidananda’s m ahasamadhi in 2002 ended the personal confrontation but does not appear to have impacted his overall influence. Chopra, Sonia. 1999. Satchidananda’s Yoga Ashram Caught Up In A New Controversy, Past Sexual Charges Begin Resurfing.” Rediff On The Net. 14 June. Accessed at http://www.rediff.com/news/1999/jun/14us on 28 October 2011. Cook, Jennifer. 1999-2000. “Not All Yoga Is Created Equal.” Yoga Journal. Winter 1999-2000. Accessed at http://www.yogajournal.com/basics/165 on 23 October 2011. Kempton, Sally. 1967. “What’s New in America?” Village Voice. 9 November, p. 1. Ma, Swami Saravananda. 1980. “The Integral Yoga School in Historical Perspective.” Ph.D. dissertation. Storrs: University of Connecticut. Meadows, Sarah and Jeffrey K. Hadden. 2002. “Integral Yoga International.” Pp. 646-47 in Religions of the World, Volume 2, edited by J. Gordon Melton and Martin. Santa Barbara, CA: ABC-CLIO. McGehee, Overton. 1991. “Ex-followers Say Swami Demanded Sexual Favors.” Richmond Times-Dispatch, Aug 2, p. B-1. Pettinger, Richard. n.d. “ Biography Swami Satchidananda.” Biography Online. Accessed at http://www.biographyonline.net/spiritual/satchidananda/index.html on 25 October 2011. Zuckerman, Joy. 1991. “An Open Letter.” Accessed at http://groups.yahoo.com/group/Sri_Chinmoy_Information/message/2448 on 28 October 2011. Bordow, Sita. 1984. The Master’s Touch. Yogaville, VA: Integral Yoga Publications. Bordow, Sita. 1986. Sri Swami Satchidananda: Apostle of Peace. Yogaville, VA: Integral Yoga Publications. Mandelkorn, Philip, Ed. 1978. To Know Yourself: The Essential Teachings of Swami Satchidananda. Garden City, NY: Anchor Books. Satchidananda, Sri. 1978. [translation and commentary]The Yoga Sutras of Patanjali. Yogaville, VA: Integral Yoga Publications. Weinca, Sita. 1972. Swami Satchidananda. NY: Bantam Books.